Whether you want to host your child's party at home or have it at a location that will do the entertaining and clean up for you, we've got some options here to get you started. A birthday party at Artventure OC is what being a kid is all about - creativity, fun, laughter and play! This Aliso Viejo fine art studio is all about building children’s curiosity and confidence through art in an encouraging and relaxed environment, and they bring the same spirit to birthday celebrations. Give your guests the gift of creativity with a private painting party at Mission Art Center. This is a fun workshop with professional teachers who will guide participants through each step of the painting process from mixing colors to brush strokes and encouraging creative expressions in a supportive, positive atmosphere. At the end of the session participants will have one completed canvas to take home with them! 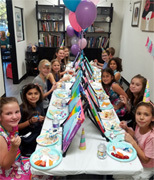 Have a "Fun-Filled Fine Art Party"
Make your child's next birthday a Fun-Filled Fine Art Party. A unique, exciting and fulfilling experience for you, your child and all of his or her friends. Each child will have fun participating in creating their own beautiful artwork to take home after the party. Well supervised by highly trained, caring instructors. Now offering in home paint parties for kids! Traveling Tea comes to your location for dress up tea parties. Paint party includes a tea party and glamour session with hair and makeup for all guests. Parties include craft, game tea time, manner lessons, favors and more. In addition to a princess, fairy, mad hatter, diva or spa theme and paint parties, we can also accommodate the boys in your group with capes, prince mugs, tattoos and more for them. We will also decorate your table with all the magical supplies to have a spectacular tea party. Where Birthdays Comes to Life! Looking for the best, bounciest kids birthday party place ever? You've found it at BounceU of Huntington Beach. Not only do we have the coolest, most funormous inflatables around, but our parties are 100% private. Planning your special day is super easy! Just pick one of our awesome packages and leave the rest to us. A dedicated Party Pro will watch over your party and take care of all the details. We also do Fundraisers, Field Trips, Parent’s Night Out and Kids Camps! Suitable for ages 2 - 10. 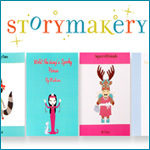 Storymakery is the first self-publishing experience for kids. Guests will create characters; write stories & engage in fun activities! Storymakery is the perfect place to hold the next birthday for kids ages 4-11. Whether they love mysteries, fantasies or adventure, we’ll make their imagination come to life. 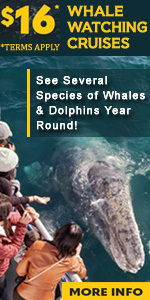 Davey's Locker Whale & Dolphin cruises are perfect party choice for your child's birthday. The primary whale watching ship has large indoor saloon area with large windows perfect location for birthday cake ceremony. Two decks, large bow wonderful spot for dolphin watching, seating throughout, full beverage center and kitchen, and much more. Newport Beach has become a international recognized location for whale watching and dolphin viewing with over 6 type of whales including giant blue whales and gray whales and huge pods of common dolphin that can number 1000 or more. Choose from general admission cruises as low as $15 a person to private ship rentals from $600. All sized groups welcome. Birthday cruises usually last about 2 ½ hours although times can be customized. Newport Landing's Dolphin & Whale birthday cruises are not your ordinary birthday party. Experience the best of southern California from the ocean viewing huge pods of dolphin that number in the hundreds and many varieties of whales including the giant blue whale. Cruises stay along the Laguna Beach and Newport Beach coastlines. Large indoor and outdoor areas with lots of seating, full kitchen, large upstairs viewing deck and many more amenities make a dolphin & whale cruise the event that will remembered by your child and their friends for many years to come. Groups of all sizes welcome. Cruises usually last about 2 ½ hours although times can be customized. Lil Chef School specializes in throwing fun-filled parties for children of all ages. Their all-inclusive parties let you relax and enjoy the show. All parties include 12 children in the base package (11 guests plus the birthday child). You can add more children for $15 each or up to 24 depending on age & menu. Invitations mailed to your guest list, 2-3 Chef Instructors are there providing instruction, and there are many themes to choose from. ALL the joys of your special celebration with NONE of the clean-up. Sit back, relax and let Rainbow Chefs do the work for you with an all-inclusive party! Either your place or ours, guests will leave with a memorable impression of fun in a culinary experience participating in our custom cooking activities. We provide a very special menu that you pick for your exclusive celebration! Custom packages and menus available for any and every party size. Tailor our packages to fit exactly what you need, whether it be 12 kids or 25, 2 hours or 3, we have you covered. Examples of some of the great themes offered are: Dessert Extravaganza, Cupcake Wars, Iron Chef Challenge, Popstar Fav Foods, and so many more! Click link above to to learn more today!!! The Carol Fallon Riding Center provides a safe, professional, fun environment for youth and adults to learn lifetime equestrian skills and to become skilled riders. Their birthday parties are privately arranged. A fun, hands on experience for all ages! Picnic area available. Please call for more information and to arrange a party date. KB Performance Horses is owned and operated by AQHA/APHA Professional Horseman and World Champion Kayla McQuaig. Whatever you need KBPH can customize your equine program to meet your goals. If you are beginner, we have safe retired show horses to teach you the ropes. If you are a seasoned riding veteran we can take you to the top showing. We specialize in English and Western AQHA events such as trail, western pleasure, horsemanship, showmanship, western riding, hunter under saddle and hunt seat equitation. Any horse needs you have we can meet - inquire about being a KB Performance Horses team member today! Ask about our summer camps. We can also arrange parties for birthdays or other special events. Kid's Club Birthdays - Kids Club Members, celebrate your day on a Fishing Trip! This Package is for the member and up to 9 friends. $40.00 per child ($19.00 per child savings ) and includes:1/2 day Fishing trip, rental rod and tackle, Kid's Club t-shirt (kids club), and 5.00 food voucher in our on board snack bar. Also all guests will be signed up for our Kid's Club and given membership cards and a souvenir pin! Special Bonus - one free 1/2 day trip will be awarded to the child who catches the largest fish in the group! Summer ½ day fishing birthday trips offer complete instruction on techniques for deep sea fishing followed by 3 hours of fishing on our 72 foot fishing boat along the coasts of Laguna Beach, Newport Beach, and Huntington Beach. Barracuda, sand bass, calico bass, halibut, and many more provide lots of fishing action to test skills learned earlier that day. Ages 6 and up. Parental supervision optional. Rental gear and everything needed for our fishing trips is available. Rent the entire boat just for your party or join us on one of our 5 hour fishing trips. Full day trips to Catalina Island also available. Onboard kitchens provide food, beverages, and of course birthday cake. Play Xbox One, PC games or immerse yourself in Virtual Reality at Howie’s Game Shack® – the ultimate birthday party venue in Orange County. Your party will be a breeze with reserved seating, games, assigned party host, hot pizza, and cold drinks. The newest attractions from 'Emerald Events’ are their exciting New Mobile Synthetic Ice Rink and Ice Curling arenas!! They are the ideal attractions for your one-of-a-kind birthday party, school carnival, or corporate event! Great for both kids and adults. Skate across the ice all year round or test your skills with our Ice Curling Party Packages. We are approved by The California PTA and by Compliance Depot for all Public, Private and Catholic Schools. Looking for the best, bounciest kids party place ever? You've found it at BounceU of Huntington Beach. Not only do we have the coolest, most funormous inflatables around, but you'll find our parties are 100% private. Planning is super easy - just pick one of our awesome party packages and leave the rest to us. A dedicated Party Pro will watch over your kids and take care of all the details. The Bubble Rollers' Land "Zorb" Bubble Rollers are available for your Children's Parties, Corporate Events or any other Special Occasion! They are not only fun, but also a great source of exercise. The Land "Zorb" Bubble Rollers are giant inflatable bubbles built for you to roll on land. We simply put you in and tightly secure the netting on the bubble, and then you're off! You can race your friends, try to bang into each other, or roll around on one of our arenas or racetracks. They are very safe, healthy, and so much fun for all ages! Emerald events Bubble Bumper Suits are a huge hit at children's parties, school/church carnivals and Corporate events! They are inflatable bubble suits that allow you to bump into your friends without getting hurt! Do tumbles, races, battle your friends, play games like soccer, capture the flag and so much more! Now available with or without an arena on any smooth surface or grass. Great for parks, and school carnivals. We are approved by The California PTA and by Compliance Depot for all Public, Private and Catholic Schools. The newest attractions from Emerald Events’ are their exciting New Mobile Synthetic Ice Rink and Ice Curling arenas!! They are the ideal attractions for your one-of-a-kind birthday party, school carnival, or corporate event! Great for both kids and adults. Skate across the ice all year round or test your skills with our Ice Curling Party Packages. We are approved by The California PTA and by Compliance Depot for all Public, Private and Catholic Schools. One of the newest attractions from 'Emerald Events' is their brand new Quad Bungee Jump!! Prepare to experience A thrilling, twisting, flipping, and exciting time like no other. Features four bungee riders a time along with attendants to supervise the riders. Strap into the harness and take off 30 feet into the air! This might be the only time some riders ever feel the thrill of leaping in the air beyond their abilities and doing countless flips while in a safe and supervised environment. Also available as a two rider setup for birthday parties and smaller events. We are approved by The California PTA and by Compliance Depot for all Public, Private and Catholic Schools. Our obstacle courses, including our huge 95-foot Radical Run Obstacle Course is an extremely popular interactive game that is perfect for many large scale events. This attraction is packed with features like pop-ups, a log jam, a squeeze wall, crawl through obstacles, climbing walls and two up and over slides. Kids and adults love this attraction. Includes all our standard game features and is available in sections for smaller scale events or areas. We are approved by The California PTA and by Compliance Depot for all Public, Private and Catholic Schools. At Rockin’ Jump, we wanted to create a new alternative for birthday parties and family gatherings, where quality food and private party rooms were guaranteed, and our kids could safely play while we socialized with other parents. From our Stunt Bag and Rock Climbing wall, to our X-Beam and Laser Maze, our park features attractions that are sure to keep your guests fully entertained! Our trained instructors provide a fun, exciting and unique place for you to have your next party. We maintain a 5:1 ratio of climbers to belayers so everyone in your party receives individual attention. Each two hour session is filled with climbing and activities such as Capture the Flag*, Wall Tag and Wall Twister! Now available for your next birthday party, Task Force Laser Tag is great for both kids and adults. Our top quality Tippmann laser tag guns work for both day and night events and even have extendable stocks for teenage and adult participants. We are the only company to offer high quality laser tag guns with extendable stocks! We even provide inflatable bunkers for a more realistic experience. Up to 24 participants at a time. LEGO® themed parties are fun for boys and girls, young and old! LEGO blocks are provided with a short lesson and special test equipment. 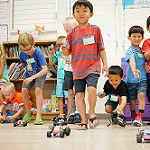 There are two popular themes to choose from (race cars and super structures) that are fun and challenging for all ages. Custom party themes and projects are also available on request. This is a unique and exciting way to celebrate your special day, and everybody has fun building with LEGO blocks! Dream it, build it, wreck it, repeat at Play-Well's LEGO-inspired birthday party! Your kid will engineer interesting projects, engage in critical thinking, work collaboratively and learn STEM concepts through playing with LEGO. Kids can choose from different themes like Star Wars, Minecraft, Harry Potter, Girl Power, Robotics, Dinosaurs and Stop Motion. We can craft the perfect party for your child. We'll bring over 20,000 LEGO to your home plus our talented instructor to guide your party guests in building their own epic creations. Ages 5 - 12. Make the next LEGO movie with your friends! Party guests are divided into film crews to write their movie, create their set & animate their own LEGO movie using stop-motion animation. Crew members rotate through the different jobs during the filming process to experience each role. Finally, they record the voice-overs to bring their LEGO characters to life. Party at our Costa Mesa studio or we can bring the film crew to you! All participants will receive a digital copy of the final productions. Have your event at our studio or we can bring the party to you! Ever wanted to star in your own movie? Our top-notch crew will direct your production from 'action' to 'cut' to create an exciting movie and an unforgettable experience for you and your guests! Pick a movie theme and we’ll help bring the movie to life as you star in your own mini movie! Guests will participate in writing the story and acting out their scenes as the stars of this fun movie. When guests aren’t on camera they’ll be part of the film crew behind the scenes. All participants will receive a digital copy of the final production. 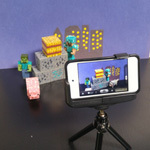 For this exciting party, children will create Minecraft stop-motion movies! This party is a hit with Minecraft and Movie lovers alike. We divide the party guests into film crews, and each crew animates their own Minecraft movie using stop-motion animation. Guests will work in film crews to write, create sets, and film their Minecraft movies. They’ll rotate jobs during the filming process & record the voice-overs to bring their Minecraft characters to life. Come to our Costa Mesa studio or we’ll come to you! All participants will receive a digital copy of the final productions. Have an unforgettable birthday full of discovery, learning and play at Discovery Cube Orange County or Los Angeles! Your party guests will spend the day exploring two floors of interactive exhibits, watch a live science demonstration, and celebrate your special day with pizza and refreshments catered by Bean Sprouts in the Special Party Zone! (714) 913-5030 or click link above. A hands-on environment that opens the world to even the youngest child, this museum offers touch tables, a science station, changing exhibits and much more. Two Birthday party packages are available. A birthday party at Pretend City Children's Museum will create lasting memories that your little ones will be talking about for years to come. Your special birthday boy or girl and their party friends can explore 15,000 square feet of interactive, exhibits including a marina where they can chart sailing courses, a café where they can prepare their favorite foods, an amphitheater where they can be a rockstar and much, much more. OC's Ultimate Rock / Pop Star / Recording Parties! Directed by Multi-Platinum, Award Winning Songwriter / Vocal Producer & the OWNER of one of LA's MOST POPULAR DANCE STUDIOS! You child can have a customized Dance/Karaoke party or a Recording party where each guest records a CD to take home - held in a 3500 sq foot studio with two full dance studios, music rooms and recording studio! 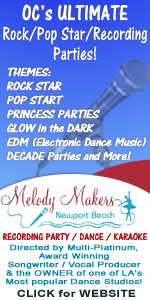 Themes include Rock Star, Princess Parties, Glow in the Dark, EDM (Electronic Dance Music) Decade Parties and more! Some of the add-ons include DJs, music videos & ice cream cart. Making a music video is an unforgettable way for you and your guests to celebrate! All you have to do is pick a song, bring some friends, and come ready to rock! Our crew will guide everyone through fun activities to create a unique music video. Come to our studio and get the red carpet treatment for you and your guests! Or we can bring the film crew to you for an exciting ‘on location’ party. All participants will receive a digital copy of the final production. A unique way of celebrating a child’s birthday in Orange County! Your child is center stage as the star of one of our unique themed parties. You provide the star and the cast and we’ll provide the rest! Parties begin with warm-up and theater games. Next we learn easy but fun choreography to our final dance with the birthday girl or boy as the star of the show. After a short break to get some water, our star and cast learn the play and each receive a line. IT’S COSTUME TIME! The children put on costumes, a little make up and we’re ready for our show for friends and family! Our Mobile Photo Booth is perfect for those special occasions you want to cherish for years to come. Ideal for any birthday, graduation, wedding, bar mitzvah, corporate event or holiday party! Fast setup and includes unlimited pictures during the event. We have the fastest picture to print speed in the industry and numerous print sizes available. Don’t be fooled by cheaper models that limit the amount of photos and have hidden fees. Every event comes with complimentary photo album, usb drive and themed prop boxes. Social media sharing is also available. Kids: Martial arts parties are FUN for you and your friends. Enjoy pizza, drills, contests and lots of martial arts fun with your favorite instructors! Cut the birthday cake with a SWORD and be a BLACK BELT for the day! The Etnies Skatepark of Lake Forest is proud to offer three party packages such as the Gold Package. This includes a Skatepark T-shirt for each child, piñata, birthday cake, drinks, pizzas, music and decorations. This package also includes a Skatepark skateboard deck for the the birthday child as well as a personalized b-day announcement during party, party skateboard contest, table reservation, a staff member during party, and a thirty minute group lesson or demonstration. All Packages are for up to 10 participants. Celebrate Lil' Kickers Style. Your child will have a blast bouncing off the walls at our house. Let us do the work while you have the fun. 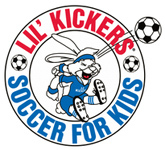 With hundreds of age-appropriate Lil' Kickers games to choose from and our high energy coaches you can't go wrong. Party packages include 50 minutes of field time, a party room and a host to handle every detail. Have you walked on water lately? Try The Bubble Rollers or Tube Rollers at your next birthday party, school carnival or corporate event! This fun activity lets you run, walk, flip, roll, or simply float on water inside an inflatable bubble without getting wet! It's safe, energetic, and so much fun. Great for both kids and adults. No pool? No problem! - The Bubble Rollers can supply one for you! You can also have your party at any of their Blue Buoy Swim School or Waterworks Aquatics locations, in addition to most association, public, or school pools. Great for school fundraisers, team building, church events, office parties etc. Call today to get your Bubble Rollers party started! Put your skills to the test with Emerald Events' Inflatable Mobile Shooting Range! It is the ideal attraction for your one-of-a-kind birthday party, school carnival, or corporate event! Great for both kids and adults. Participants will even receive a keepsake target as proof of their shooting skills. Little girls love to dress up, make believe and have tea parties. Let Traveling Tea come to your location and set up for the dress up tea party of your child's dreams! We have different tea party themes to choose from - spa, mad hatter, princess, fairy, diva plus paint parties. Or let us accommodate your special request. We will bring all the supplies for dressing up and the tea party, excluding food, tables, and chairs. We will also decorate your table with all the magical supplies to have a spectacular tea party. Your guests will mix and measure ingredients to make pizza dough from scratch, then roll & knead, and top their own personal pizzas (sauce, cheese and 3 topping choices) while learning hands-on cooking techniques and fun food facts along the way! Bring us the chefs and we'll do the rest! Other themes suitable for young teens are fresh pasta parties & cake decorating. You can be the SUPERSTAR in your own Music Video or Mini Movie Party! Our top-notch crew will direct your production from 'action' to 'cut' to create an amazing video and an unforgettable experience for you and your guests! For a music video party all you need to do is pick a song and we’ll do the rest. We’ll guide the stars through different activities to produce an exciting music video. Pick a movie theme and we’ll help bring the movie to life as you star in your own mini movie! Guests will participate in writing the story and acting out their scenes as the stars of this fun movie. When guests aren’t on camera they’ll be part of the film crew behind the scenes. Come to our studio or we can bring the party to you! All participants will receive a digital copy of the final production. Let Traveling Tea come to your location and set up for a tea party of your child's dreams! We have different themes to choose from - spa, paint, mad hatter, princess, fairy & diva. Or let us accommodate your special request. We will bring all the supplies for dressing up and the tea party, excluding food, tables, and chairs. We will also decorate your table with all the magical supplies to have a spectacular tea party. Traveling Tea will come to any location in Orange County and set up for the dress up tea party of your toddler's dreams! In addition to a princess, fairy, mad hatter, diva or spa theme and paint parties, we can also accommodate the boys in your group with capes, prince mugs, tattoos and more for them. We will also decorate your table and accommodate your special themed requests. Our mobile Foam parties and Foam pits and a great party favorite. We offer the latest in foam party technology. We provide state of the art foam machines, no residue/nonirritant foam, Numerous foam pit sizes and lights/speakers for music to make a really exciting foam party. Kids and adults love this attraction. We are approved by The California PTA and by Compliance Depot for all Public, Private and Catholic Schools. Ever wanted to star in your own movie? Our top-notch crew will direct your production from 'action' to 'cut' to create an exciting movie and an unforgettable experience for you and your guests! Pick a movie theme and we’ll help bring the movie to life as you star in your own mini movie! Guests will participate in writing the story and acting out their scenes as the stars of this fun movie. When guests aren’t on camera they’ll be part of the film crew behind the scenes. All participants will receive a digital copy of the final production. Exciting parties at your home, a park, or just about anywhere. You can be the SUPERSTAR in your own Music Video, Mini Movie, or Stop-Motion Animation Party! To make a music video all you have to do is pick a song, bring some friends, and come ready to rock! 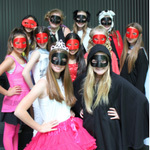 Or pick a movie theme and we’ll help bring the movie to life as you star in your own mini movie! 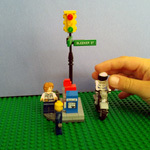 Or create LEGO® or Minecraft Stop-Motion movies with your friends! Our top-notch crew will direct your production from 'action' to 'cut' to create one of the best birthday parties in Orange County. Make your next party a star-filled event! All participants will receive a digital copy of the final productions. Providing a large selection of rental equipment and supplies for any special function or event in Southern California. Rental line includes tents and structures of all sizes, tables, chairs, skirting, dance floors, staging, display drape, china, BBQ's, catering equipment and many other special event products. OrangeCounty.net - Premier listings for all of Orange County Featuring Orange County Parties for Kids. Locations, Party Supplies, Entertainment and more!